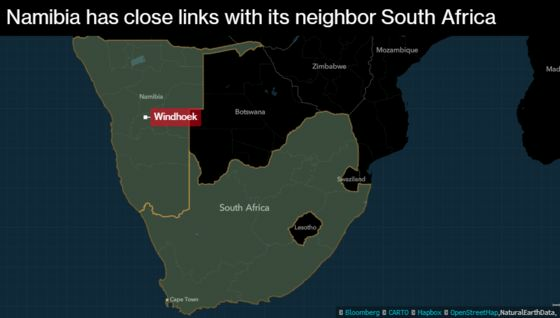 (Bloomberg) -- Namibia is ruling out dropping its currency peg with the South African rand “unless something very drastic happens,” given the close trade links to its larger neighbor and the drive by the world’s biggest producer of marine diamonds to recover from a two-year recession. 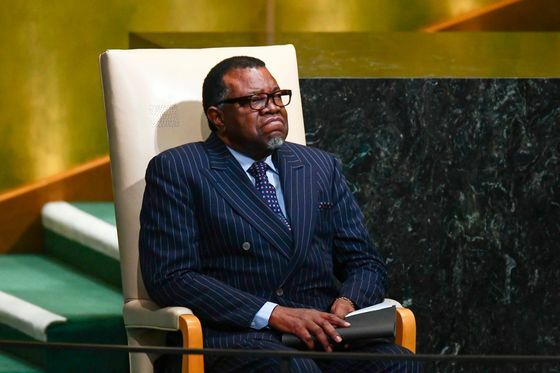 “We have to consider all the options, but after having considered that we still think that backing one-on-one with the rand is the best option,” Namibian President Hage Geingob, 77, said in an interview in Cascais, Portugal, where he attended the Horasis Global Meeting. The arid south-west African nation’s economy has partly been dragged down by anemic growth in South Africa and power shortages in that country have spilled over into Namibia, which imports electricity. That prompted calls for a review of the currency arrangement and customs agreement. The rand is one of the most-volatile currencies, making planning tough using the pegged Namibian dollar. Most of Namibia’s trade is with South Africa and its companies, such as banks FirstRand Ltd. and Nedbank Group Ltd., are also listed on the Windhoek exchange. The rand lost 14 percent against the dollar in 2018 and is 1.7 percent stronger this year. Prospects for Namibia’s economy are improving after a two-year slump -- its first ever back-to-back annual contractions -- despite signs South Africa’s acceleration from weak expansion may be delayed. Namibia will seek private investment in its energy sector, to help provide generation capacity to the state-owned Namibia Power Corp. and reduce its reliance on imports from South Africa’s cash-strapped power utility. The government is seeking to diversify its energy sources, including by bringing in solar and wind plants, he said. Geingob said Namibia is satisfied with its “marriage” with Anglo American Plc unit De Beers, the world’s largest diamond company, and has signed a new long-term agreement to extract the stones in a joint venture through Namdeb Holdings Ltd.